I pointed out that it isn’t just a problem for Miami (although it is a huge problem for Miami). It’s a problem all up and down the east coast of the U.S. I chose Boston as an example, and that inspired Richard Ray at Goddard Space Flight Center to take a much closer look. As a result, we are co-authors of a paper on the topic. 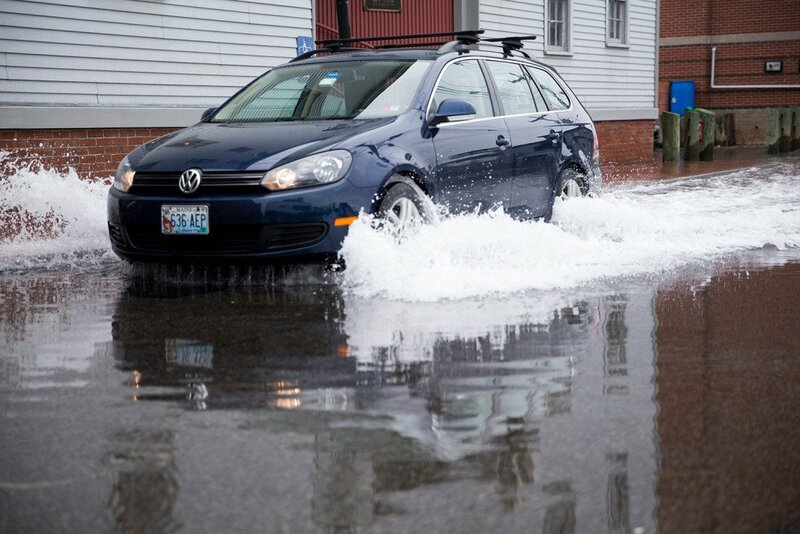 What’s happened so far is usually referred to as “nuisance flooding.” That’s not because it isn’t serious, just because it usually isn’t life-threatening. But the economic damage is considerable — when your restaurant floods, or your home, or your car is damaged, it costs big money. Miami is already spending $500 million (yes, half a billion dollars) just trying to “keep up” with the rising seas. And as I’ve said many times, it’s going to get worse. Not just in Miami and Boston and Portland, ME, but around the world. Humans live near the sea, and for thousands of years the level of the ocean’s waters has changed only imperceptibly … now it’s changing, not just perceptibly, but threateningly. I repeat, the economic damage is considerable. This kind of minor flooding, that can happen even when there’s no storm or wind or rain, is only part of the problem. When storm and wind do hit, they can bring about the kind of storm surge that means massive flooding. The kind of flooding that costs hundreds of billions of dollars like in New Orleans (hurricane Katrina) and New York/New Jersey (superstorm Sandy). The kind of flooding that costs lives. In spite of the obvious threat, the damage that’s already here, most of our government has turned a blind eye. Even in Florida, where the people of the Miami area are begging for help from a state government that is supposed to protect and serve, the governor (Rick Scott) is in deep denial. At one point, he even instructed members of his department of environmental protection not even to utter the words “global warming” or “climate change.” Governor Scott denies that, but I don’t believe him. This much is certain: the state which might be hardest hit by sea level rise has a governor who refuses to accept the reality — just when the people of Florida most need to face reality and do something about it. And as I’ve said many times, it’s going to get worse. Our actions today can’t prevent that, but how much worse it gets depends very much on what we do today. As long as Rick Scott remains governor of Florida, as long as Donald Trump remains president of the U.S., don’t expect our own government to help our own people. Well-stated. I’ll be sharing this. And congratulations on the paper–a very interesting prospect, which I’ll be checking out, too! Congrats on the paper, Tamino. Congratulation on the nice paper. I like the hours-per-year graph with the different scenarios. Nuts-and-bolts-wise, Did you use R’s https://cran.rstudio.com/web/packages/rnoaa/ package’s coops_search(…, station_name=’8443970′,…) to get data from https://tidesandcurrents.noaa.gov/stationhome.html?id=8443970 ? 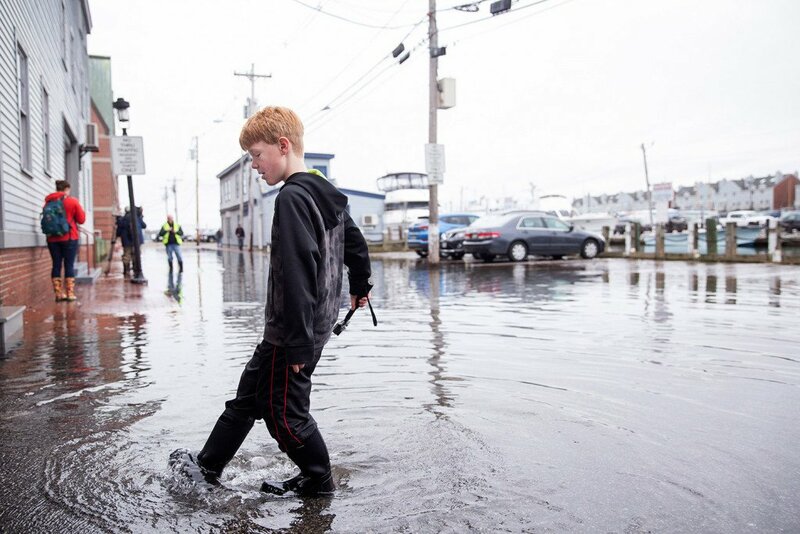 You might be interested in https://www.epa.gov/climate-indicators/climate-change-indicators-coastal-flooding. Your comment link made me wonder what will happen to EPA information like this during the Trump era. Will it and NASA and NOAA climate change data be scrubbed from the dot gov sites wholesale? It’s pretty inconvenient to the Trump/Ebell world view. The last time the carbon dioxide concentration was about 400 ppm was in the mid-Pliocene, about 3 million years ago, and the sea stand was about 25 meters higher than now. So long as the carbon dioxide concentration remains around 400 ppm we can expect the same high sea stand in, say, around 1000 years from now. Inexorable. If only Floridians could vote. The only ‘it’ I can think of is a planned and managed retreat (seawalls etc are no use in this case, at the moment they’re just spending money for the sake of looking busy, it’s no ‘solution’, it’s a boondoggle), there is no stopping this for centuries ? millenia ? Their is amoreilating it of course eg 500ppm is ‘better’ than 600ppm but there are no signs of that occuring substantively either at a personal, national or global level (and that’s the order it has to occur at in order for genuine change to occur, you won’t get change until a substantial minority start living low emissions lifestyles and normalising that behaviour). Indeed, and despite all of our best efforts (which still do need to continue as much as possible – all power to Tamino!) the world seems to be currently aligned such that mitigation is a mid- to long-term dream rather than a near-term option. 2) there was a global influenza pandemic. given the similar poor response of the world’s governments to sufficiently regulate their misuse. The combination of this in addition to ever-increasing global traffic, increasing population density, and global warming enhancement of the spread of disease organisms is setting up humans for a Very Big Smack. It’s sad in an existentially-visceral way to think that the only significant curtailing of our impact on the planet’s climate might come from our follies in other domains, and/or from nature turning around to belt us, but as a species we just don’t seem to have the perspicacity and initiative to curb our global manifestation of the tragedy of the commons. The AGW deniers seem to have (in part) shifted their message to “Even if we are causing the rise in temps, we can’t afford to do anything because what we really need to do is make sure that everyone gets food and clean water and energy (via coal or whatever), and to address climate change is to, basically, doom all of these people to death”. See? They are the real humanitarians…just ask them. This makes me wonder do you rather take a nuclear war, or sea level rise? For me the latter is a no-brainer. I rather take a DAGW than a nuclear war. In discussions on AGW, the often mentioned medics (nuclear war and pandemic diseases) make me feel nervous. Because it could be, some day, somebody decides to ‘cure’ a coming AGW disaster by doing a pre-emptive strike with a high collateral damage function. I’d call that a pretty tonyblairish mistake. Oh, he did have the smoking gun, too. Thanks for that lovely illustration of both a straw-man fallacy and a flat out lie. No one is advocating nuclear war of pandemic. NO ONE. Now do us a favor and get real or get gone. According to the paper (page 12), in the high scenario there will be 743 flooding events in 2050. That is more than the number of high tides in a year (about 706). Is it an error, or is there something I am missing ? Sorry, the paper probably wasn’t clear enough. There is a sum total of 743 events between years 2011 and 2050. Tamino: you say in the paper that you have included climate SLR into your calculations, but I couldn’t find the basis of this. Please enlighten. Bernard; in the same journal, there’s a new paper on the climate impact of a limited regional nuclear war (no kidding). Also note that there seems to be a big-scale buy-in to geoengineering ‘solutions’ at the moment, which is very worrying; it’s back to the ‘magic tech bullet’ mindset which kinda guarantees that nobody is expecting to become more energy/carbon efficient in a hurry. Tx. Looking at Love et al, 2016, just out, they show up to 600mm (+/-) for Boston out to 2100. Is this compatible with your numbers? Mar a lago will become a snorkel and scuba paradise. It might be useful to look into what the US Navy has to say about sea-level rise. FYI. The Department of Defense released a report back in April 2016 focuses on coastal (sea level rise) risks to military installations. In my opinion, a very thorough report. One of the authors (Billy Sweet, NOAA) is also one of the authors of the initial NOAA report on nuisance (sunny day) flooding from a couple of years ago. There’s also a military experts panel report on sea-level rise and the US military’s mission. The panels are all retired but do include one member from each of the armed forces branches. I haven’t gone through this report in detail yet. My Boston home is near the Fort Point Channel, and the Northern Avenue bridge is about 3 blocks away at the mouth of the channel. The excellent TBHA site I linked to earlier is now defunct, and the new site is slower and harder to navigate. However, our government, including Charlie Baker, a reasonable Republican (they do exist, sort of), are very much on the case. If you look at a map, you can see it’s just inside the beginning of the Channel inside Boston Harbor. For obvious reasons (our dooryard is about 3 feet up, by rough eyeball, from these big tides) I keep close watch. I’ve lived here since the early 1980s, and have been able to watch the slow relentless increase and recent acceleration first-hand. I’ve thought a lot about when I will have to move, which would not be convenient as long as my family needs my care in Princeton. I do wonder if the Northern Avenue Bridge gauge is a fair measure as it’s funneled a bit. I do wish they would get going on a modification of the 1986 diMambro harbor defense design, which could also be modified to use tidal energy and would be a great site for windmills as well, if one were clever about it. But that kind of creative thinking seems to have gone missing. Here’s a good collection of Boston king tide photographs. If you scroll down to those labeled “Fort Point” (Gabrielle is a local friend and hero) the one showing the Barking Crab has the Northern Avenue bridge in the background. This New York Times article describes loss of value in coastal real estate from sunny day flooding (and other sea level rise issues). Perhaps if scientists emphasized damage to coastal real estate it would catch the ear of Republican politicians faster than reports of poor people starving from AGW caused drought. Trump will never care about other peoples problems caused by AGW. He will care a lot about an increase in his flood insurance at his Mar A Largo estate. Hit him in the wallet to get his attention. If scientists speak strongly about this issue it will affect property values much sooner than the rise in sea level will submerge the properties involved. If this issue is constantly raised it might catch on, everyone is already aware of it.